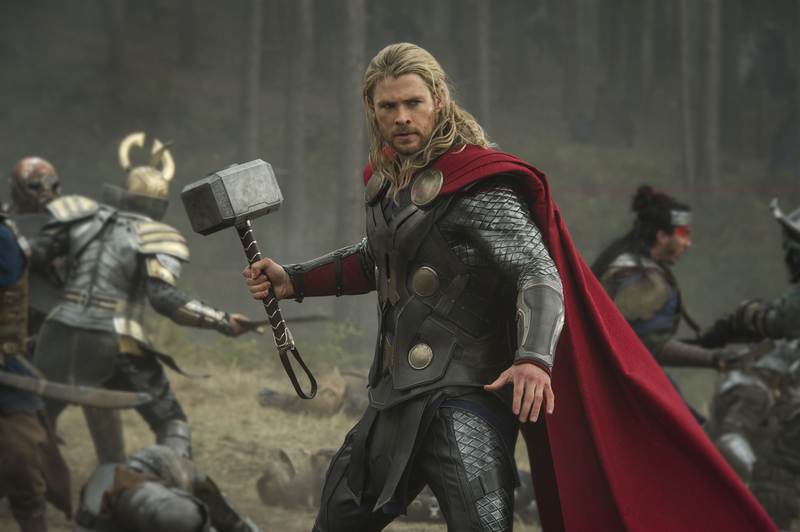 It’s hammer time again as Marvel Comics’ mallet-wielding Norse god of thunder makes his third appearance on the big screen. Chris Hemsworth returns to the starring role and strides confidently into the story, which builds on elements from the first Thor (2011) as well as the The Avengers (2012), in which Thor joined with his fellow Marvel do-gooders Iron Man, Captain America and The Hulk. Superhero franchise flicks have become big booming business, in case you haven’t noticed. All the ones based on Marvel characters start with a “flip-book” montage of Marvel iconography and end with teasers during and/or after the credits promoting upcoming movies, and the plots of most of them are already working ahead, spinning threads on storylines in the making and setting up new characters. In this movie, as he does in every movie based on one of his characters, Marvel’s founder Stan Lee makes his obligatory cameo, and an Avenger pops in for a cameo. And now there’s a TV show, The Agents of S.H.I.E.L.D., about characters spun off from the movies that spun off from the comic books. Superhero fans will probably get their fix, but everyone else could easily feel like they’re being hammered into submission by a major marketing plan. The characters are the same as be-Thor…I mean before. There’s the blonde-haired astro-Nordic beefcake himself; Jane Foster (Natalie Portman), the beautiful, brainy Earth scientist who loves him; his father Odin (Anthony Hopkins), the king of the cosmic kingdom of Asgard; Thor’s resentful step-brother, the treacherous trickster Loki (Tim Hiddleston); and an assortment of returning supporting players, including Idris Elba, Stellan Skarsgård, Rene Russo, and Kat Dennings from TV’s 2 Broke Girls. The story’s…well, if not the same, more of the same: Something catastrophic will happen if Thor doesn’t stop it. In this case, it’s an evil force called the Aether in the hands of Dark Elves who want to use it to seriously gunk up the universe. As the ensuing computer-generated battle rages across the vastness of space, and the story ping-pongs between Asgard and England, Middle Earth-ern bows, arrows, swords and shields mix with Star Wars-ish laser blasters, teleportation devices and anti-gravity beams, as if two sets of mismatched action figures somehow spilled out of the toy box and onto the play mat. Think of it as Game of Thrones in a galaxy far, far away. Which isn’t too much of a stretch, given that director Alan Taylor’s impressive TV resume includes that particular HBO series. 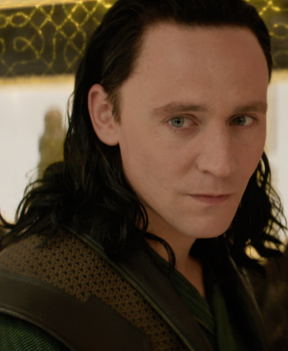 But Hemsworth owns his role, and so does Hiddleston as the villainous Loki, who has certainly become one of the franchise’s strongest second-tier characters. It’s Stellan Skarsgård’s nutty professor Selvig, however, that really intrigues me. He prances naked around Stonehenge, uses a pair of shoes to explain a complicated theory of planetary alignment, knows how to take the oomph out of Armageddon, and works without pants because he says his brain functions better that way. Now, when is that guy getting his own spin-off?